Our correspondent witnesses a wonderfully urbane model of freedom in Berlin. Surely Jacobs would have considered Berlin, Germany’s capital, “lively, diverse and intense.” Much has been written about it — its turbulent, and at times, violent history, and its fall; then its rise from the ashes of World War II as a young weltstadt (world city). 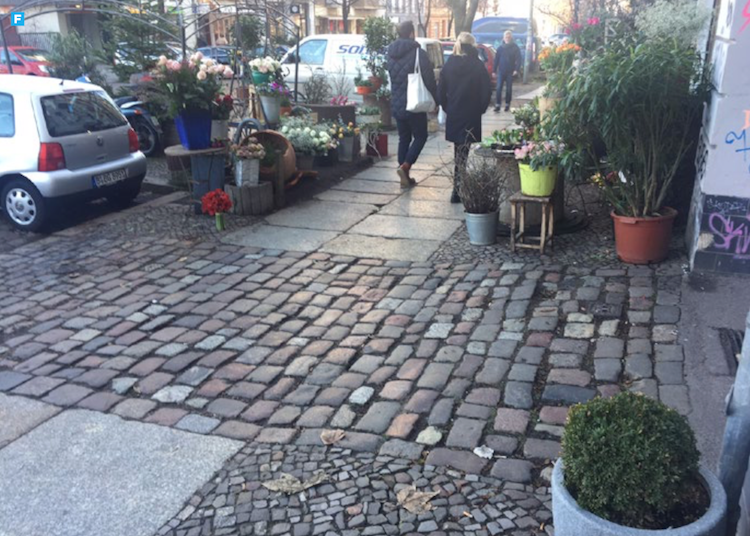 Here, some observations about Berlin’s transportation, transit and pedestrian system — the arterials and capillaries of urban design and planning — as it relates to the city’s personality and livability. 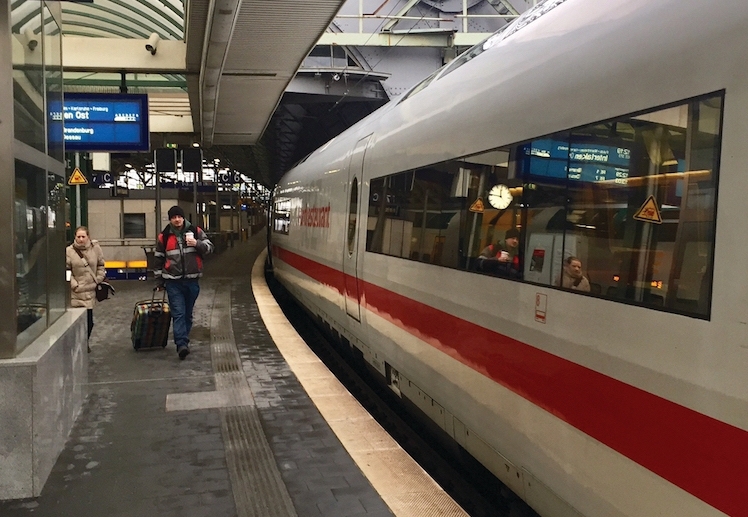 Last fall, I rode a 200 miles-per-hour InterCity Express (ICE) train to Berlin. From there, an extensive U-Bahn (subway), S-Bahn (elevated), streetcar and bus network were available to take me everywhere— swiftly — on a monthly pass priced at around $90US. Few Berliners walk more than two or three blocks to get to a transit stop and few seem to need to own a car. 2.7 million people use transit each day. Berlin has 3.4 million people and is – within actual city limits - the European Union’s second-largest city (after London, with 8.7 million). Yet, despite its large footprint Berlin is densely built, merging several small towns and villages during the bustling Gruenderzeit (founders’ time) of the mid-19th century. The city’s typical five to six story apartment buildings form large blocks around a series of tight inner courtyards. Lower floors were originally designed for shops and crafts, the next floor up for the well-heeled, and the top ones for lower-income residents, thus mingling people of all backgrounds. Postwar, many blocks have been rebuilt with less density and often, less charm. Thanks to elevators, top floors are now the most desirable (and expensive). 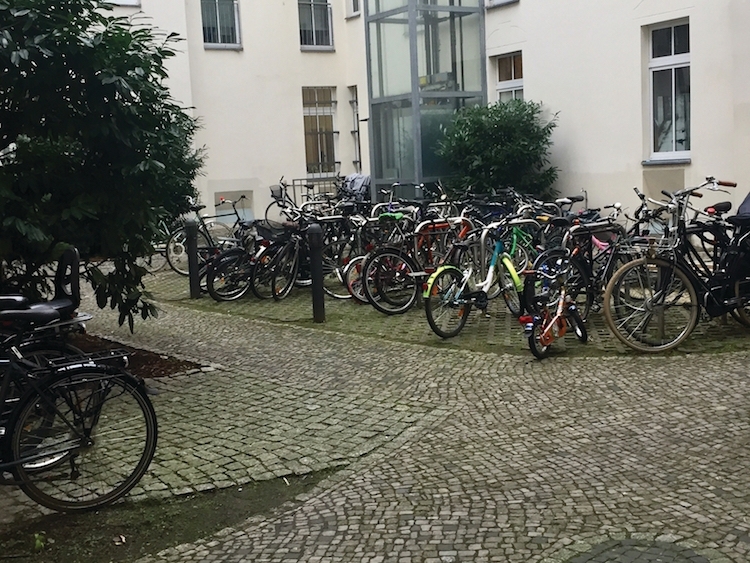 Most inner courtyards appear to be filled with bicycles. Berlin reminded me that high residential density can yield multiple benefits. Wide neighborhood sidewalks (many with bike lanes) result in a pleasing street-width to building-height. They allow cafes, restaurants and shops to spill onto active, attractive and sunny street spaces. Streets lined with Linden trees offer summer shade and winter sun. Accustomed to bland concrete sidewalks back home, I enjoyed walking on smooth aggregate concrete tiles, slabs of granite or white, mosaic-like cobblestones. “Die Verkehrsgerechte Stadt” (The Traffic-Appropriate-City) was an influential German post-war planning guide, advocating greater priority for cars, under and overpasses; Berlin has few of either. Since the wall fell in 1989, the reunited city of Berlin has promoted a transit-first policy: bus and bicycle lanes, bike and car sharing, traffic-calming, pedestrian and sidewalk amenities, pocket parks and playground. Berliners make 40 percent of trips on foot or by bicycle yet, unlike in most German and other European cities, few downtown or residential streets have been closed for pedestrians. (Like in other German cities, though, there appear to be no potholes). 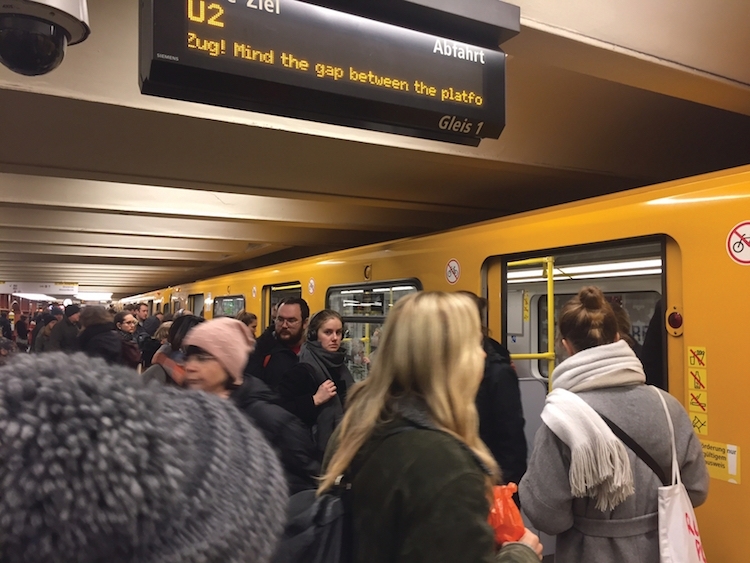 Because of its efficient transit and pedestrian infrastructure, Berlin feels much smaller than it actually is – easy to navigate, livable, walkable, and safe. People rub shoulders with an astonishingly diverse range of fellow Berliners — in subways, on sidewalks and bikeways, in parks and at lakes, in biergartens and at the city’s beloved currywurst stands. Projecting an air of tolerance, today’s Berlin attracts people from every corner of the world. A young city, especially appealing to the young, who appear to enjoy its distinct freedoms. SPUR member Hartmut Gerdes, AICP, is a retired San Francisco urban designer, who received his M.Arch./M.C.P. in urban design from the U. of Pennsylvania and a German Dipl.-Ing. in urban design and architecture.. Happy Fifth Anniversary, SPUR San Jose!